I had to get my feet wet for this particular autumn image and the water was ice cold. 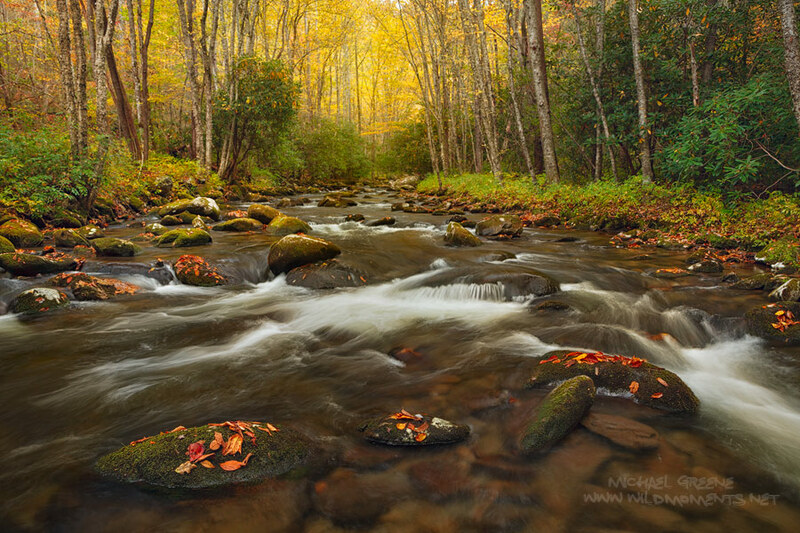 You are looking at Rowland Creek located near the charming town of Bryson City, NC. Photo © copyright by Michael Greene.